Deborah Raney has a gift for taking a story and adding elements to give it so much depth that it reaches across a multitude of reader likes. 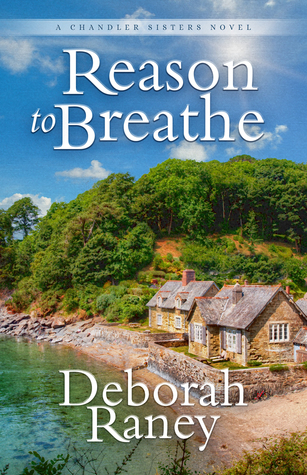 In Reason to Breathe, Raney introduces three sisters who are getting back to life after the loss of their mother. When they agree to take on a huge project, Phylicia has no idea she’s about to face a crisis of identity. This book has so much to recommend it! There’s the journey of grief the sisters and their father are on, the fun elements and details of the sisters’ experience getting the cottage together and livable, the mystery of what’s going on with the girls’ dad and the mystery surrounding a photo Phylicia finds, and, of course, some romance. And though that sounds like a lot, Raney expertly fashions all of these pieces with the thread of faith that brings them together to make something beautiful. Thanks for hosting the tour and giveaway. Haven’t read Deborah Raney and it’s about time I start! 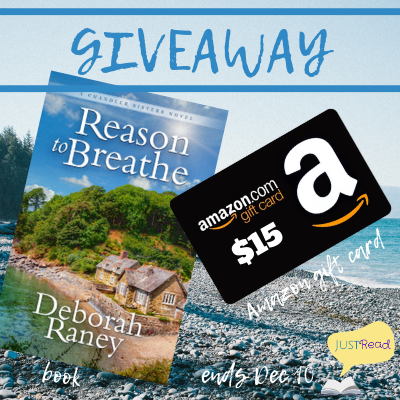 Thank you for your review on “Reason to Breathe” by Deborah Raney and for being part of the book tour. I’d love the opportunity to read this book on my TBR list. The storyline sounds amazing and the cover is lovely. I haven’t read this author yet but I hear good things! I enjoy Deb Raney’s books! I’m looking forward to this series! Thanks for the chance at this giveaway! It is generous and kind in this season of Christmas! I look forward to reading your book. 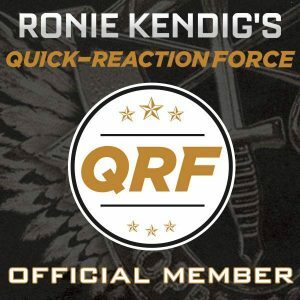 Thanks for the chance at this giveaway! I look forward to reading your novel. Merry Christmas!